No one looks forward to a present quite like a child. 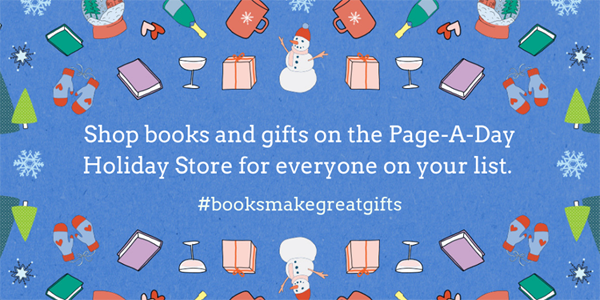 Thanks to this extensive guide, you can give a gift that both educates and excites! Full of hands-on activities, smile-inducing information, and explorations of other worlds, these titles will keep children enthralled for hours on end. This special slipcase edition features the best-selling combo of Cooking Class and Baking Class, along with a bonus cutting board. These two titles are a complete — and fun — class in the basics of cooking from scratch, beginning with simple sandwiches on a stick and advancing to pizza, fish tacos, popovers, and homemade bread. With appealing step-by-step photography and instructions written specially for kids ages 6 and up, the Sewing School Box Set covers the full range of sewing skills, including hand stitching, operating a sewing machine, fabric selection, using patterns, and making pockets, casings, interfacing, and more. Heatproof, transparent, and durable, the mason jar is a science lab just waiting to be discovered. Unlock its potential with 40 dynamic experiments for budding scientists ages 8 and up. Using just a jar and a few ordinary household items, children learn to create miniature clouds, tiny tornadoes, small stalactites, and, of course, great goo and super slime! Jump-start curiosity with this take-along field guide for children ages 4 and up. From worms, birds, and spiders to trees, flowers, and clouds, young explorers learn what to look and listen for wherever they are — whether in a nature preserve, an urban park, or a suburban backyard. For today’s active, plugged-in girls ages 9 to 13, finding healthy ways to unwind and de-stress is an important part of well-being. Girls’ Home Spa Lab is packed with all-natural recipes, activities, and tips for self-care and relaxation specially designed for tweens. 7. Howl like a Wolf! What does it feel like to “see” with your ears like a bat or go through a full body transformation like a frog? Can you wriggle in and out of tight places like an octopus, camouflage yourself like a leopard, or do a waggle dance like a honeybee? This creative and beautifully illustrated interactive guide makes learning about animals fun for children ages 6 and up. Luna is raised by the witch in the Forest, a kind with who rescues the children of the Protectorate and delivers them to welcoming families on the other side of the forest. But Xan accidentally feeds Luna moonlight instead of starlight, filling the ordinary child with extraordinary magic. As Luna’s thirteenth birthday approaches, her magic begins to emerge--with dangerous consequences. The fate of the world is in the hands of detective of the supernatural R. F. Jackaby and his intrepid assistant, Abigail Rook. An evil king is turning ancient tensions into modern strife, using a blend of magic and technology to push the earth and the otherworld into a mortal competition. Jackaby and Abigail are caught in the middle as they continue to solve daily mysteries in New Fiddleham, New England. What happens when a kid who’s flown under the radar for most of high school gets pulled off the bench to make the winning basket in a varsity playoff game? If his name is Bijan Majidi, life is suddenly high fives in the hallways and invitations to exclusive parties—along with an anonymous photo sent by a school cyberbully that makes Bijan look like a terrorist. 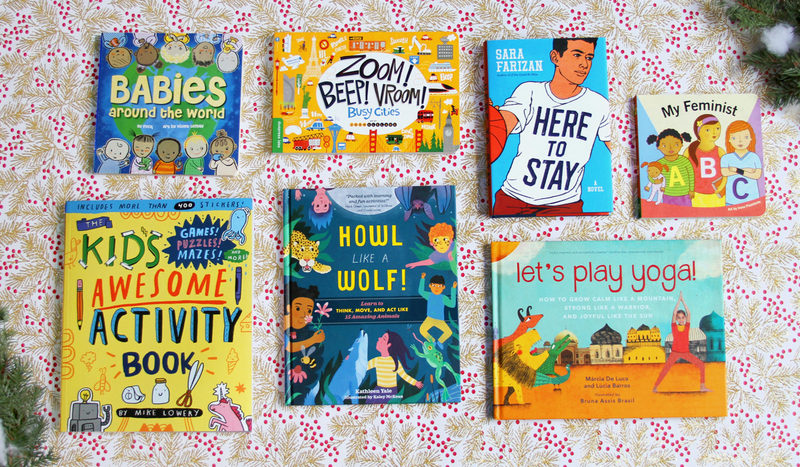 In these one-of-a-kind picture books, every page is bursting with life—and tons to discover! Children as young as two have a blast pointing out recognizable things—a blue tricycle, a hungry dog, a piggyback ride—while older kids can follow the star characters from page to page, telling their stories along the way. So start your engines! Join seventeen characters ready to venture out into Wimmeltown to work and play via car, bus, truck, and more in My Big Wimmelbook—Cars and Things That Go! Bustling construction sites are everywhere in Wimmelcity. In My Big Wimmelbook—At the Construction Site, join Sarah the architect, Eric the surveyor, and the rest of this hardworking crew as they build roads, a downtown building, and so much more! In My Big Wimmelbook—Animals Around the World, go on a journey with a pair of wildlife photographers, a daredevil adventurer, and more, as they see lions, tigers, dolphins—animals of all types in a variety of landscapes—from the Antarctic region to the African plains and beyond! In My Big Wimmelbook—On the Farm, adventure awaits on Wimmelfarm. From the stable to the wheat field to the rodeo, follow each character as they go about their day—whether watching Jessie the handywoman fix one thing after another or hoping Cousin Grady will survive his next blunder! A playful, exuberantly illustrated book that introduces yoga to kids ages 5 to 8 with simple postures and techniques to foster a calm mind and healthy body! How can a magic tree, a cow with a fidgety son, or a wise lion teach kids about being kinder, calmer, and stronger? With yoga! In Let’s Play Yoga!, these and other colorful characters promote balance and discernment—through creative stories kids can read on their own, all grounded in traditional yoga poses. 17. Do You Know a Superhero? Meet a special group of superheroes: they have homes, families, and very important jobs. These are the Superhero Parents and their powers are diverse: Super Nurse Mom takes care of sick children, Super Vets are a mom and dad duo making sure pets are healthy, and Super Scientist Mom sends spaceships to outer space before coming home to read stories to her kids. Brilliantly illustrated and with simple and quirky text, Do You Know a Superhero?is the ideal primer to show babies and toddlers all about what parents do during the day. Cars and trucks whoosh in Chicago, a bullet train zooms in Hong Kong, and a bicycle strolls around Paris (ding-ding!). Cities around the world are always on the move, and this lively book puts little ones in the driver's seat with a cacophony of sounds right on the streets of some of the most exciting metropolises on the planet. Zoom! Beep! Vroom! Busy Cities will surely charm any young vehicle enthusiast and the many tots that are intrigued by life in the big city. Bonjour! Ça va? Say hello to international babies as you tour the world from morning to nighttime. The journey starts on a sunny day in New York City and ends on a beautiful San Francisco night, with stops in Mexico City, Rio de Janeiro, London, Paris, Cape Town, Cairo, Beijing, and Tokyo. These friendly babies welcome us to their cities with delightful greetings in their original languages (with English translations) in a simple narration that will appeal to any global mini citizen. Making connections between images on a page and the real world is an important building block for your baby’s communication skills—and this charming introduction to ten baby animals, paired with a friendly text, and bold basic patterns, provide a great high-contrast experience for young developing eyes. The perfect follow up to Hello, Ocean Friends. Little ones will love encountering the amazing animals inside this board book, and with lots of flaps to lift, there's lots of fun to have. Animals are divided into categories such as “Big” (giraffe, blue whale), “Fast” (peregrine falcon, red fox), “In the Dark” (owl, red panda), and, of course, “In the House” (dog, cat, hamster). The playful text on the flaps gives readers simple clues that encourage discovery. A book that begs to be doodled in with 96 wacky prompts, games, and crafts, and adorable creatures to boot, The Kid’s Awesome Activity Book is packed with activities that take delightful twists and turns, inviting kids to design, draw, and dream. From the author and illustrator of the Doodle Adventures® series and based on the Kid’s Awesome Activity Calendar, the book showcases Lowery’s inimitable quirky style and humor that clicks with all ages—get the whole family in on the fun! For curious kids, this is the chance to embark on the journey of a lifetime—and see how faraway countries have more in common than you might expect! Created by the team behind the #1 New York Times bestselling Atlas Obscura,The Atlas Obscura Explorer’s Guide for the World’s Most Adventurous Kid is a thrilling expedition to 100 of the most surprising, mysterious, and weird-but-true places on earth. Illustrated with favorite photographs from the book Strong Is the New Pretty (as well as more than 20 brand-new images), each page features an inspiring, interactive prompt that encourages writing, doodling, and creative self-expression. This guided journal invites girls ages 8 to 12 to discover and celebrate their independent, wild, silly, powerful selves.